Get Ready for Hockey Holidays! It's November! And while I usually refuse to celebrate the holidays until after Thanksgiving (which is my favorite of the US holidays, and I think it's truly underappreciated! )—but this year is different. Why? Because 'this the season for Hockey Holidays! 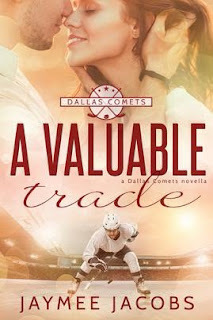 I've joined a team of hockey romance authors to bring you this epic anthology. And my contribution is "Christmas Crosscheck," which tells the tale of Georgiana and Bryan's first Christmas together. And—spoiler alert!—there's a proposal. You'll have to read it find out the rest! 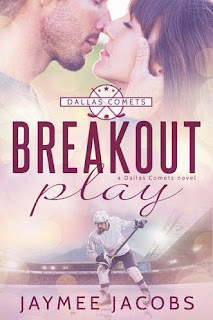 The anthology, for which all proceeds will be donated to a hockey charity, will release on November 13, so there's still plenty of time to pre-order to make sure you get this book on your eReader ASAP on release day! Autism Fact:People from all nationalities and cultural, religious and social backgrounds can be autistic, although it appears to affect more men than women. 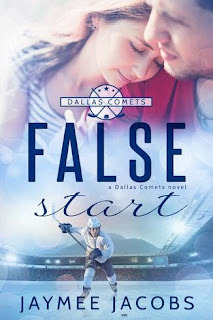 I figured I’d be doing a good thing by participating in RJ Scott's Autism blog hop and raising awareness about autism and living with the disability. But then I realized I didn’t know much about autism at all; I’ve never personally encountered someone who I knew was autistic or even on the spectrum. So how could I help raise awareness when I myself was barely aware of the stats and facts about autism? Realizing my ignorance, I reached out to a friend of mine who has a Masters in special education and has worked hands-on with autistic children—and she had tons to say about the developmental disability and how we approach it. Autistic individuals often are judged and even pitied. Adults blame meltdowns and tantrums on bad parenting. They are teased by their peers and ridiculed. Strangers stare at them. This month has been insane! I can't even believe we've got only a week or so left in March. We started off with a bang at the Angels & Sirens event. 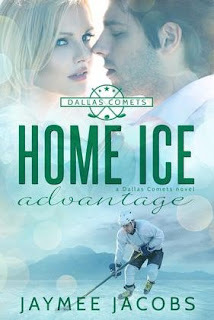 I got to hang out with some amazing hockey romance authors! Sometimes writing can feel very solitary, so it's always a great experience to hang out with other writers. And these ladies are AWESOME! It's been a long time since I'd laughed so hard. The next weekend was St. Paddy's Day—and my cousin's wedding day! I had a great time with family, and helping my beautiful cousin get ready for her big day. I hosted an out-of-town cousin for the weekend, and we had such a blast catching up and growing closer. I've run out of adjectives to describe my recent trip to Dallas. Amazing. Delicious. Incredible. Fun. Educational. Beautiful. I'd never been to Texas before—surprising, considering my series is set there, right? But that was a happy accident, that the Comets became a whole unto its own. While I researched locations and vocabulary online, I knew that I needed to experience it in person so my books could be as authentic as possible. I'd thought many times about going, but it never seemed like the time was right. So when my cousin was getting married outside of Dallas, I knew that the universe was telling me to go!